Is there a place for a human in the era of future information technologies? 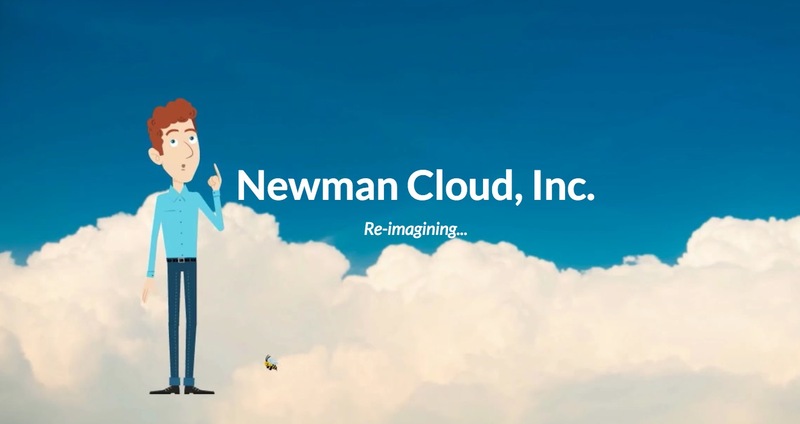 What is the future business of Newman Cloud Inc.? The name “Newman” stands for both Newton, MA (the company’s HQ) and Manufacturing. We’re working on a cloud based data management tool that we believe will improve the manufacturing process. What is your new start-up about? Are you going to open an in-house development centre, outsource services of other companies or use freelance programmers? We’re leaving all options open with regards to how we’ll develop our solution and bring it to the market. The single most important driver of our decisions will be the voice of our customers. They’ll help us choose the best options. Please tell us more about plmbook.com. Will it be an open encyclopedia, any changes and corrections to which shall need your personal approvals? Or is it going to contain exclusively your texts? Or perhaps along with you there will be other invited authors? In any case, is there an embedded option for publishing the same article /chapter in different languages (so that in future those who wish can help translate from English, for instance, into Russian)? 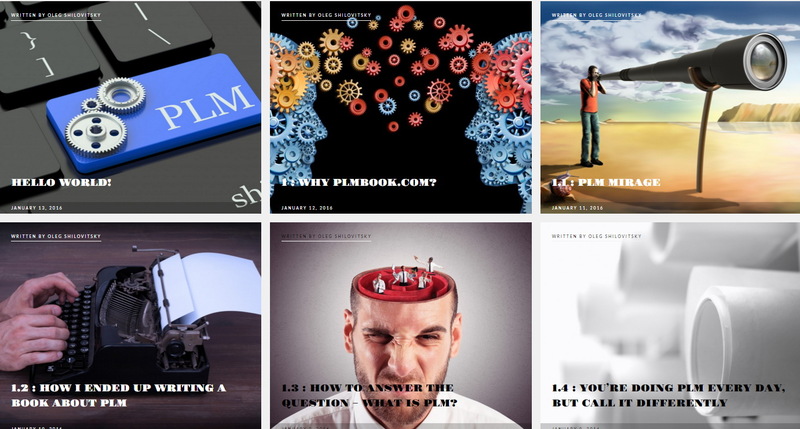 Plmbook.com is my social publishing experiment for 2016. I don’t see it as encyclopedia for the moment. For me, it is an attempt to organize my writing about PLM for the last 8 years. I know many my readers following the blog on a regular basis. At the same time, I’ve got many comments from people looking how to use my blog as a source of knowledge about PLM. I tried to do it on my own and found that the process is not easy. Some historical articles are not up to speed with today’s information. Some of the context is outdated. My original plan was to write a book about PLM. But as I moved with the goal during 2015 I found a book format too constrained for that mission. So, I decided to come with a new website in 2016- plmbook.com, which will represent more classified and better organized set of materials about PLM for everyone. 2.3. What is right data model for PLM? 4.1. Technology is easy. People are hard. 8.10. How to align PLM with ERP? Appendix 1. How to buy PLM? Appendix 2. How to sell PLM? It is Wordpress based website. So, potentially it can be expanded to allow multiple writers to publish. But, I think, it is too early to decide. Ask me about it in July . How many readers does the Beyond PLM blog have? What about their geography? How quickly the numbers are going up? How do you see your target audience – managers or technical specialists? Anyone who is interesting in engineering and manufacturing software. I don’t have any specific “manager” or “engineer” reader in my mind. I’m not good at counting my readers. My assessment that Beyond PLM reach from all channels - blog, email subscriptions, LinkedIn, social networks, etc. it will be probably 40,000-50,000 views monthly. Modern PLM not related to the Internet of Things (IoT) already seems unnatural or even flawed. How is it possible to manage lifecycle of things efficiently without maintaining constant feedback with them? Does it mean that those PLM systems that ignore it will become increasingly less competitive? IoT is a very interesting trend. But IoT is going through the peak of inflated expectations. I think, there are lot of things related to IoT driven by marketing hype. However, it doesn’t remove the potential value and importance of IoT technologies. But it will take time to find the right balance and scenarios that will bring real value to customers. One would think that PLM was defined long time ago, diversely and authoritatively, etc. We are falling under the impression, however, that very different systems are attempting to dodge behind these three letters. Obviously, a rigorous academic, and especially mathematically accurate definition of PLM is impossible. Nevertheless, could you possibly formulate some kind of a divide: how does fully-fledged PLM differ from non-PLM or, say, false-PLM? PLM industry spent too much time debating what is PLM - vision, business strategy, or product technology. In my view, how to define PLM is less important. The approach should be to start from customer problems that PLM or non-PLM system can solve and work back from that. The issue of BIM - PLM balance is not a new one. Recently Russia has experienced a spree of BIM-activity — at least, a spree of BIM-isicad-discussions, when sometimes concerns were expressed whether BIM exists. Such doubts regarding PLM have already faded, although the concept is hardly stricter that BIM. It would be worth learning about your opinion on the essence of BIM, BIM / PLM ratio and so on. It’s well known that there are similarities between the process of constructing a building and manufacturing a product. Both BIM and PLM aim to provide users with an improved ability to assist with design, project scope & schedule, and costs. The big difference between BIM and PLM is in the nature of the projects. BIM projects are by definition unique, i.e., in commercial construction each building project is different. PLM projects usually involve complex systems for manufacturing multiple [similar] products. Although technologies that can solve these problems are similar, I don’t think we are going to see consolidation of PLM and BIM. What is the future of PLM software? Please outline the main vector of PLM software development for the next few years. Should we expect new high-profile PLM vendors? I think PLM will follow major manufacturing and technological trends. No surprise cloud will play a dominant role in forming future PLM computing paradigms. However, the question is not whether PLM will adopt or be available in the cloud. Rather, the question will be if PLM is able to keep pace with the evolving and changing problems modern manufacturing companies face. It’s an area ready to embrace innovation and we’ll see how new players respond to customer needs. When is it reasonable to develop an in-house PLM system for an enterprise? What are the necessary resources to develop an in-house PLM system? The issue of product information management is so shamelessly exploited by vendors and integrators that a divine act of creation is lost in the midst of other lifecycle stages. I cannot possibly force myself to consider the miracle of creating alongside operation, repair, disposal and other, undoubtedly important things. “M” is at least for “Modelling” in BIM (I am afraid, not forever), while PLM already looks hopeless. It was a time when “management of information” was a unique discipline. Today it seems everywhere. To manage information is an imperative for every company, process, system. So, it should be no surprise companies are interested how to collect, manage and reuse information about products. One of Russian integrators develops software, labeling it PLM, which stands for Plant Life-cycle Management. Managing plant life-cycle (rather than simply a product) is a very good and correct approach, and it is hard to believe that not much attention is paid to it in the world. Most likely the systems of such class have a particular name and specifics. How do such systems bear to traditional PLM? Please characterize the current PLM-positions of recognized global leaders. Tell us honestly, which company is cooler: Dassault Systemes or Autodesk? Which one will dominate the CAD and PLM market in 10 years? We live in the era of accelerated development technologies. It is really hard to predict 10 years ahead. Just think back 10 years ago - no iPhone, no Facebook, no iTunes…. It’s hard to predict the impact new trends such as IoT, augmented reality, and artificial intelligence will have on CAD and PLM or what vendor will dominate CAD or PLM in the future. Based on the approaches that companies like Onshape are taking and some strategic development of large CAD / PLM vendors (Autodesk, Dassault Systemes, Siemens PLM and PTC) the CAD and PLM landscape is due for some major change if not disruption. We live in exciting times. At the same time, manufacturing companies are changing very slowly. It takes 10 years to develop airplane. The lifecycle of some products is very long. Large CAD and PLM vendors have huge customer base that will support future trajectories on these companies. Who of the current, relatively fresh PLM-vendors seem to be the most interesting, promising, etc.? Perhaps any totally new, little-known but noteworthy have emerged on the global market? I think innovation and freshness in PLM will come from understanding of changes in modern manufacturing - new manufacturing technologies, global distribution and supply chain, new approach and technologies in data management. What is your opinion about Russian PLM-vendors? We are getting the impression that they continue catering only to large and relatively closed customers, which will hardly be interested in cloud systems in the foreseeable future and are not scared ( or even inspired) by big and complex brittle program packages. Getting back to my comment about proximity to customers, Russian PLM vendors should have a better understanding of local customers. At the same time, I haven’t seen Russian PLM vendors selling products outside of Russia. Unlike its competitors - DS and Siemens, PTC reported losses in the past quarter. What can be the reason? Could you comment on the current situation in the market of heavy CADS and PLM, possible newcomers? Is the concept of “light, middle-level, heavy CAD” still relevant today? According to the information from PTC, the change is related to the shift from perpetual licenses to the subscription model. I’m sure differentiation of CAD systems will remain relevant in foreseeable future. I’m sure we will see more players in this space as manufacturing industry is going through transformation. Autodesk or Dassault: which is better to work with? During the Holidays, I went skiing with the family to Utah for the first time. It was wonderful. I met people there that told me it offered the best skiing in the country. Although I’ve not been skiing in Colorado, some people tell me it offers the best skiing in the country. Last year, we went skiing in Zermatt (Switzerland) and people told me this is the best place to see. So which is better to ski? Meh… I’m sure there are many great places. I think the same applies to Autodesk or Dassault. They were both great places for me to work each offering its own unique reasons and attributes. Your relatively optimistic view on the prospects of cloud technologies in PLM and BIM is well known, thus a question about already implemented systems: which of them you consider the most viable and successful? In my opinion, the best cloud based PLM and BIM systems will be those that remove barriers to adoption, add value quickly, and are cost effective. I think, we are just at the beginning of the cloud adoption. Many people think that the main obstacle to expansion of cloud services and Big Data — is an adverse effect upon privacy, accessibility and protecting data from those technologies. What is your opinion about the issue? Which policy you personally support with regard to the user’s right to review data collected about this user (the so-called Right to Download) and use of anonymous data in the advertising industry? Security is a complex problem. You cannot ignore it. But, I’d not be trying to put a spotlight on security as the only problem stopping customers from getting to the cloud. I believe it comes down to a matter of comfort and confidence with using something new. Most of us don’t give it another thought when we use online banking. That’s in the cloud. The same will surely occur with people's perception of cloud data security in manufacturing companies. Cloud vendors such as Amazon, Google, and Microsoft pour billions of dollars into their cloud infrastructure to ensure it’s secure. More than most companies invest themselves. Yet all it takes is a rogue employee with a thumb drive in a company to pose a data security risk. If anybody thinks that Onshape demonstrates CAD future, can we assume that a complete cloud approach is the future of PLM? There is lot of confusion around the term “cloud”. You might hear “full cloud”, “true cloud”, “fake cloud”.... There is no PLM vendors today who are not providing some kind of cloud solutions. So, compared to CAD systems, all PLM systems are on the cloud already (public, hosted, private… you name it). Does it solve all problems of PLM? No, I don’t think so. It helped to remove the need of expensive and complex IT resources when implementing PLM solution. Onshape is a great example how cloud technologies can help some specific design collaboration and data management problems. Does the word "Cloud" in the name of your new company means that no one needs desktop solutions any longer? Or is it simply a marketing trick to attract investors? The word “Cloud” in the name of our new company is to signal that we will embrace the cloud technology. I believe desktop solutions will be around for long time. At the same time, the definition of “cloud” application is not simple. For example I’m using Evernote, install it on my computer but when connected to the internet, the app is synchronizing data to the cloud. Another example - Slack. This collaborative application has desktop application installed on your desktop. Who else but you can give the best explanation about the boundary between web-applications and cloud applications. I’m sure there are plenty of other people better qualified than myself to answer this question. In my view, web is a term defining information online. So, I can speculate that web application is an application running in a browser interacting with this information. Cloud (computing) is a model where shared resources, data and information are provided to computers and other devices on demand. It is another term - SaaS, which often defines an application available via subscription based licensing on demand. You certainly must be in touch with plenty of engineers. Do they really show any genuine, serious interest towards cloud CAD? Cloud is a generation shift. For young people to think about installing desktop application is as weird as saving files to a floppy disc. Engineers are aware about cloud CAD systems and are genuinely interested how it can help them. 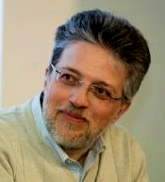 Oleg, everything suggests that you were able to work not only for different companies but also in different countries. Where, do you think, doing business is easier or better – in Russia, Israel, the US, France? Which country would be the best choice for opening a software development office? The key for successful business is understanding your customer. From that standpoint, building a business is the easiest where access and proximity to target customers is the greatest. Each county has specific characteristics that cannot be ignored. Thanks to many tools available to startup these days, made possible by global access to internet based tools, where one is based makes little difference to developing software and creating a business so long as access to customers is possible. What makes a real difference is not where you open the office, but the idea you have, how you build a team and create solution that helps to solve customer problem. What happened with your company Inforbix after its assets were purchased by Autodesk? Were your ideas further developed in Autodesk products? Inforbix was absorbed into Autodesk and leveraged accordingly. I had a very productive time at Autodesk and benefited greatly by being surrounded by many talented people. Now I’m excited with the creation of my new company and future development of Beyond PLM. I’d like to apologize to the readers beforehand for asking some extremely generalized questions, perhaps more in place when chatting over a glass of wine rather than for a distance interview, but all the same... Oleg, I have some questions and hopefully the editor will allow putting all of them in one go. The changes in production, construction and everyday life in industrially developed countries are simply phenomenal. Already there are signs that even not a very ancient concept such as “supply chain” can become archaic. Rapid changes of informational environment along with an avalanche increase of the volume of information about its current state are a challenge. Is it possible to analyze its state and determine its development trends on the basis of the traditional scientific approach (analysis and synthesis) or the time is coming when those involved in information technologies would turn into some kind of the “oracles at Google”, “asking the right” questions to get the sought-for answers? It sounds like a line in a science-fiction pamphlet from half-a-century ago, and still: “There is no God but Big Data and Google is the messenger of God”? To a certain extent, software tools for engineering design encouraged creativity, first, saving the trouble of performing routine tasks, and then helping set comfortable conditions to unlock creativity. At the same time, informational environment (PDM/PLM/ERP and so on) formed a matrix around “Homo creative”, where he is assigned a particular position and his actions are strictly regulated. As someone who devoted so many years to developing PLM concepts, haven’t you felt any contradictions in the sources and driving forces of developing engineering software and lifecycle management tools — “It is impossible to harness a horse and a quivering doe in the same cart”? I do not completely agree with the definition of “matrix”. Maybe I’m missing some points, but the biggest conflict in PLM software is an attempt to improve organizational processes by forcing a change. It is very hard to do. Also, conflicts between business interests of vendors significantly influenced the way engineering software was developed. In my opinion, IoT is the most important that has happened to us in this century. So far it is difficult to understand possible consequences of development and widespread use of IoT. Smart self-building houses, driverless vehicles, self-contained devices: IoT and additive technologies make such things a reality. Perhaps neither the present generation of CAD and PLM/BIM, nor the present generation of specialists will have place in such a world? No, I don’t think so. IoT won’t replace people in engineering and manufacturing. IoT technology will make people more efficient. What we are observing can be called a “process of alienating knowledge from people”. Everything that takes place in information technologies is irreversible. One just need to look in archives at the drawings of mechanisms or buildings made at the beginning of the 20th century to understand that the culture of engineering graphics was completely lost during the period of using CAD. Is there the “point of no return” in this process? Can “alienation of knowledge from people” cross the line transferring humans into something that already would not be a human in our understanding? Information technologies are not taking knowledge from people. Actually, information technologies are empowering people with new opportunities to analyze the information and make better decisions. Think about a navigation system. There are few cities in the world where I can drive without a map. But, it doesn’t mean I won’t use a navigation system which helps me to get information about the traffic and takes me into an optimal route. I use it every day even in my home city. How much time do you spend every day on your blog? Where do you draw the ideas and inspiration: from conversations with actual customers or other Internet-publications? To write daily Beyond PLM blog takes ~ 1 hour. It is of course not reflecting the reading time of news, blogs and social network. On average I spent 2-3 hours daily reading online and screening social networks. 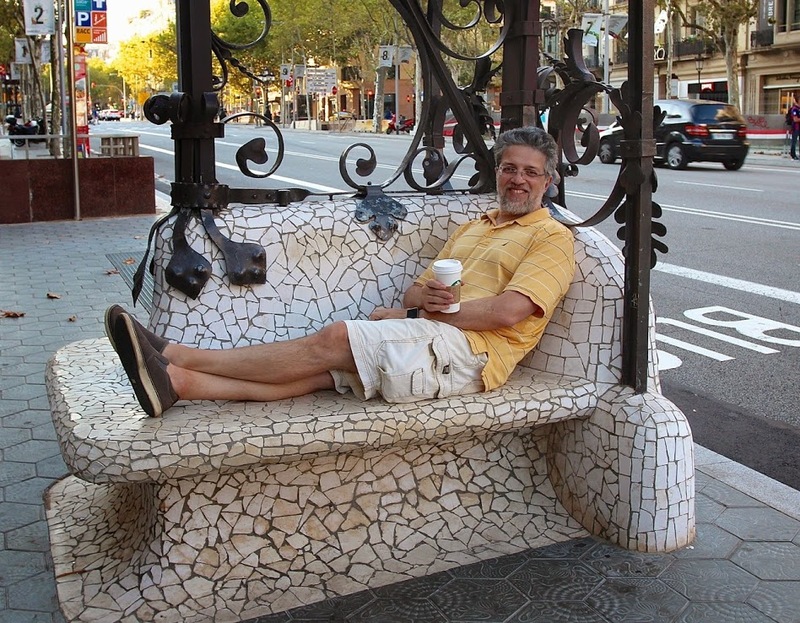 What books have shaped your understanding of the right PLM and the right BIM? Can you name 3-5 books that you would strongly recommend for reading to be “on the same page” with you in this field of knowledge? I've just grabbed a bunch of books from my bookshelf. Some of them are old. But, industrial companies are changing slowly. So, you can surprisingly find problems described 10-15 years and still unsolved. I’d recommend to start with Orlicki’s MRP, BOM by Dave Garwood and Sheer’s Business Process Engineering. With what type of camera do you get the best pictures? And what is your choice for an “everyday” camera? A phone/ tablet / point-and-shoot? Do you still fly as much as before or you have managed to organize your workflows to be able to see your family more often than at week-ends? My business last year was mostly virtual. I came to few conferences in Europe and in Boston, but was surprised by willingness of people in the manufacturing industry to manage consulting business online using Skype. Well, frankly, I prefer vacation travels rather than business travels. How can you cope with such enormous amount of information around you? The blog, social media, your job. I use Google and Evernote to keep track of all my professional activity. Notes, actions, follow up, tasks, plans. I use Gmail for all of my email accounts. I have a special email account to collect ideas and draft for my blog. I’m rarely classify information using folders and widely use search. I’m trying to keep information digital and very rarely taking paper notes. I actively use Twitter and LinkedIn to keep up the speed with online news and information. I use multiple aggregators to consume news and information - it helps to filter out what is important. Mostly classical instrumental music. Lots of piano music. J.S. Bach and Glenn Gould are among my favorite composers and performers.